Allergy season is officially upon us in many parts of the country. Even if you are not yet sneezing or experiencing a runny nose, there is significant benefit to taking action against seasonal allergies before they become overwhelming. This approach is called pretreatment, and many doctors believe this to be the most effective way to keep your allergies in check. These doctors are not alone because, according to some recent studies, such as one from the University of Cincinnati, getting started earlier with your seasonal allergy relief routine will help limit the effects of histamine in your body as the pollen counts begin their inevitable climb this spring. Instead of being reactive and waiting until your nose is running, eyes are itching, and sinuses are inflamed, you should start your allergy regimen early because it can dramatically suppress the body’s allergic response. To understand why, you have to understand histamine and how it works. 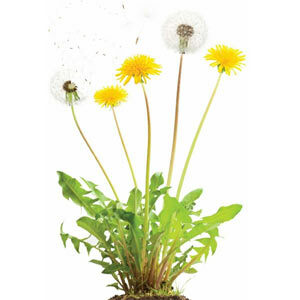 In response to substances like pollen, your immune system releases a chemical called histamine. Histamine moves throughout your blood system and attaches to cells with histamine receptors. Histamine causes the capillaries in the affected tissue to become more permeable to white blood cells. Thus, white blood cells move to the area of the affected tissue. Ultimately, this entire process gives rise to the traditional symptoms of swollen tissues, watery eyes, and a runny nose. When you take action against seasonal allergy symptoms only after they’ve started, histamines have already accumulated and attached on those histamine receptor sites and have triggered the inflammatory response. Antihistamines serve to block the effects of histamines by blocking those histamine receptor sites. When the histamine receptors are blocked, histamines can no longer perform their functions, and allergic reactions are minimized. However, once your allergic response has kicked into high gear, it can be difficult for even the most powerful allergy medicine to get it under control. For this reason, it is more effective to identify the time of year that your allergies begin and start a treatment routine a few weeks before. One reason some people put off taking their allergy medicine until absolutely necessary is because they hate the drowsiness that typically accompanies pharmaceutical allergy products. Over-the-counter antihistamines, particularly the older generation ones like Benadryl and Chlor-Trimeton, can make us feel tired because they penetrate the blood-brain barrier. This means they not only treat allergy symptoms, but also affect the brain. If you have extremely active seasonal allergies and must take a pharmaceutical product, I would highly recommend exploring the newer generation ones like Zyrtec or Claritin. These newer medications last longer than the older ones (typically 24 hours vs. about 4 hours) and also have fewer side effects (non-sedative). However, even the newer pharmaceutical options can still make some people tired or nauseous. Those who need to be alert and active, or would simply prefer to use something natural, have been increasingly turning to the plant flavonoid quercetin for safe, effective relief. Quercetin works similarly to conventional antihistamines. It prevents histamine from being released into cells and also provides anti-inflammatory benefits to reduce swelling during allergic reactions. On top of being a great, natural antihistamine, quercetin also works in the body as an antioxidant and an immune system booster. Additionally, since it doesn’t cross that blood-brain barrier, it doesn’t leave you feeling tired and lethargic. Here’s a little-known tip to supercharge your quercetin this spring – take it in the form of a quercitin glucoside. Studies, published in journals such as The American Society for Nutritional Sciences, have shown the glucoside form (isoquercetin & isoquercitrin) is a better-absorbed form of quercetin. 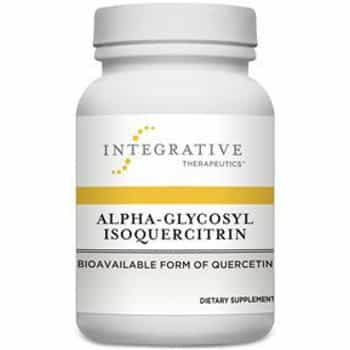 Integrative Therapeutics now has a product called Alpha-Glycosyl Isoquercitrin that utilizes isoquercetrin. Integrative Therapeutics’ research, as well as independent studies from journals such as Biological and Pharmaceutical Bulletin, found that isoquercitrin in this particular formulation was three times more bioavailable than isoquercetin (found in many similar products), and almost 18 times more bioavailable than standard quercetin. I hope this information keeps you from being tethered to the tissue box this spring and encourages you to get outside and enjoy springtime activities that allergies have kept you from in the past. If you have any questions regarding the concepts discussed here or anything else, you can reach our customer service team at customerservice@oakwaynaturals.com or you can call them at 888-460-3091.